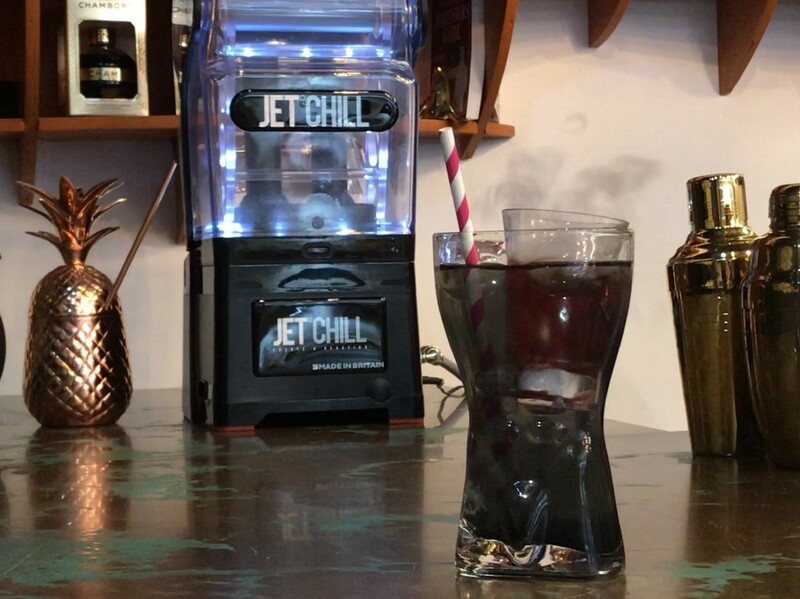 With JetChill making the safest method on the market for producing Dry Ice drink effects in your venue, we often get asked how we can garnish our unique glassware to make the most of its effect and form. “Forest Clearing” invokes woodland flavours and light mist of dawn. Forest Clearing makes use of a Mint Leaf skewered around three Blueberries to reference the fresh flavours in the cocktail. It can be easily reproduced using different leaves and berries, for example a Pineapple Frond and Raspberries for a tropical recipe. “Strawbs & Cream” pulls together the flavours and imagery of a British Summer. 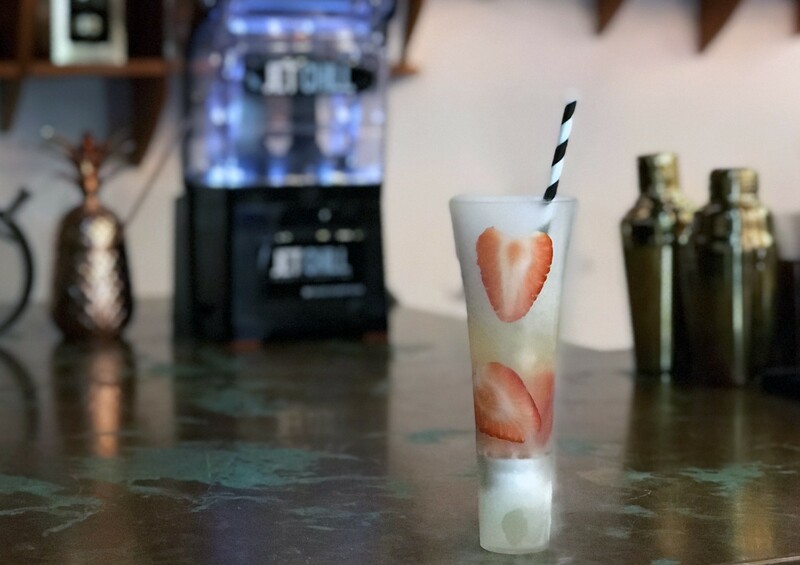 Strawbs & Cream uses very thinly sliced strawberries, stuck with their natural juice around the inside of a charged JetChill glass. The cocktail itself is a blend of vanilla and berry flavours, both sweet and refreshing with a light tang. This technique also works well with sliced cucumber or any other ‘sticky’ fruit that can be adhered to the inside of a glass. 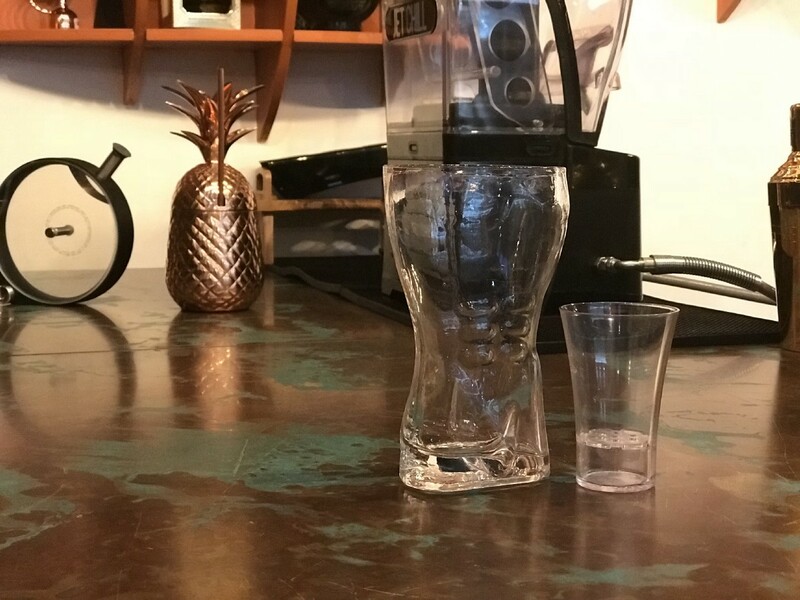 “Lost his Mind” is a playful multi-vessel serve using a glass shaped in a human torso and our shot glass, (L). Lost his Mind makes light of the crazy theatre of our signature serves in a fun and social-media-friendly presentation. 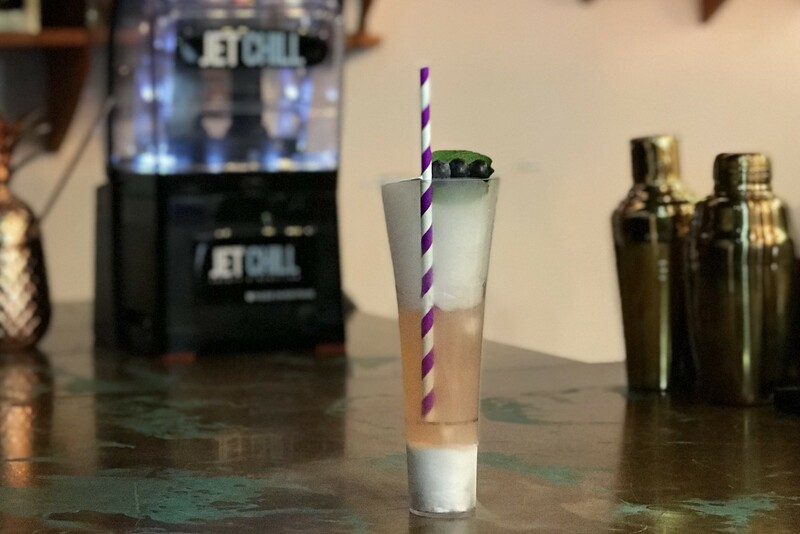 A JetChill shot glass filled with a strawberry shot makes up the beating heart of our figure who is filled with a blueberry cocktail, darkened with a dash of activated charcoal. 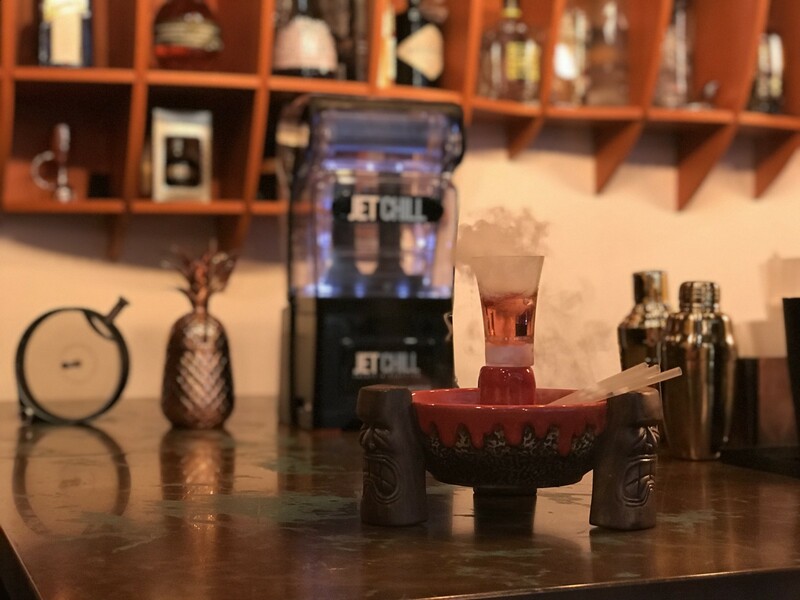 “Un-BeLavable” again uses our shot glass to add theatre to a tiki sharing bowl. Un-BeLavable is formed from a ‘lake’ of Mezcal-based cocktail surrounding an erupting peak of Chilli vodka. Definitely a sharer to turn up the heat! 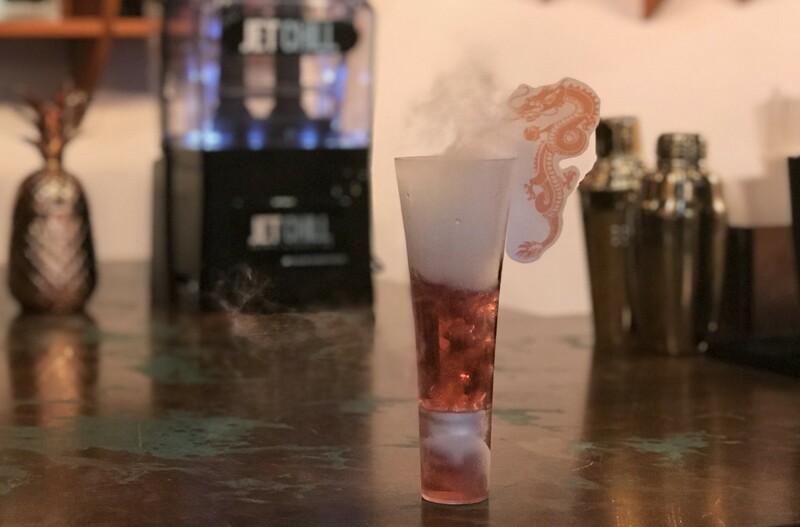 “Firebreather” is an edible printed cut-out affixed to our cocktail glass. Firebreather like it’s similarly named spirit, is a cinnamon based cocktail flanked by a fire-breathing dragon printed on wafer paper using edible inks. This technique can work with any number of printed garnishes, you’re only limited by your imagination! Think UFOs, team mascots and celebrities! Hopefully these have whetted your appetite for a bit of creativity with your garnishes! If you try any at home we’d love to see them! You can tag your photos on Facebook or Instagram or email them to our contact details.